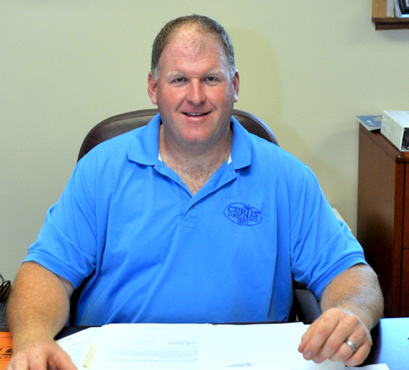 Established in 1986, Curtis Drilling was nurtured in the Mid West and has grown here in Virginia from honest hard work and strong family values. We continue to grow because Curtis Drilling never looses sight of its boss, YOU. 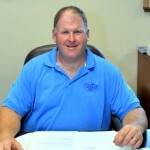 Chad Bordewyk – started working for the family business in 1990 installing pumps during the summer and after school. In 1992, after graduating high school he started working full time as a Pump Technician. In 1995 Chad started drilling wells. During the years he helped his parents run the business. In 2015 Chad took over the family business and continues to run it with the same strong family values. Chad is married with twin girls. He loves hunting and spending quality time with family and friends. 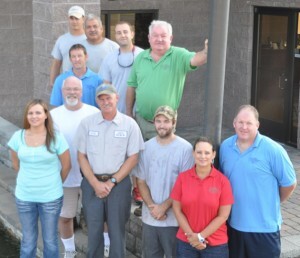 In keeping, you will find Curtis Drilling is staffed with qualified, friendly personnel eager to please and professionally accomplish and see your task through. When you have great people like we do, who have the knowledge, desire and advanced up-to-date equipment, all that’s left is our promise of commitment and your earned trust. What can Curtis Drilling mean to you? CURTIS DRILLING advanced equipment and expert staff makes it the one place to go for a professional and reliable approach to getting the very best from your water well. We have 6 Certified Master Water Well System Providers and over forty years of combined experience, which makes us a great choice for all of your well drilling needs. We are responsive to our customers and industry with long standing memberships in the National and State Driller Associations as well as the Better Business Bureau. Family owned and operated, we’re licensed, insured and ready to work for you. Curtis Drilling’s WATER TREATMENT DIVISION is staffed with more than 20 years of know how for timely, accurate, in-house water quality analyses that will identify potential water quality problems and prescribe the proper treatment. We offer water treatment equipment from many innovative, well established manufacturers. These relationships allow us to offer expertly installed, effective, long lasting treatment solutions. Our testing services are available for a modest fee that insures accurate results and an honest solution you can depend on. Finally, we are also a great source for information as it relates to: residential and commercial well sales and service, well water pumping systems, pumps, pressure tanks, repair, down hole viewing, groundwater testing, and a full line of water treatment equipment, components and supplies.